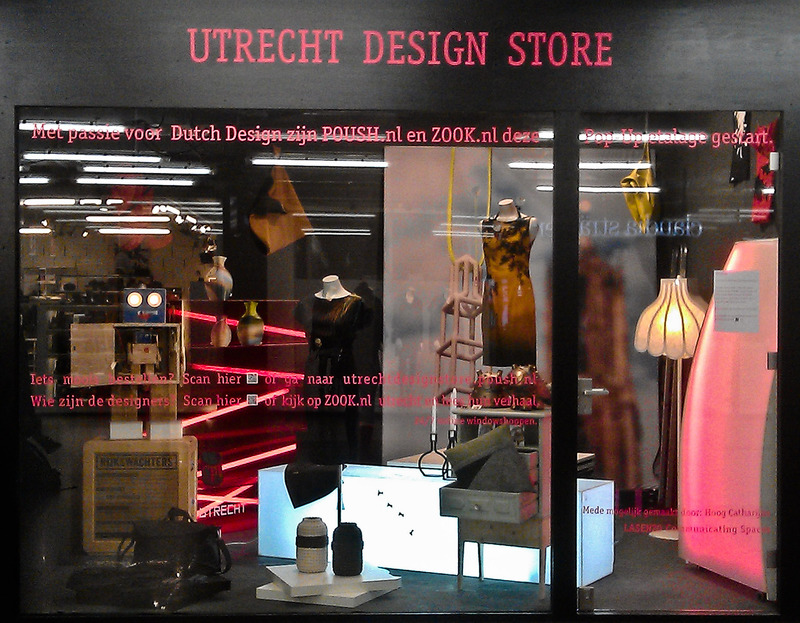 During my stay in the Netherlands, I took the opportunity to attend Dutch Design week. Now in its thirteenth edition, Dutch Design week is an annual event that takes place in Eindhoven from the 18th to the 26th of October, displaying innovations in design, from freelance individuals, to companies and educational establishments. In addition to their stock, the store also offers laser cutting and 3d printing services to produce one-of-a-kind gifts for customers. 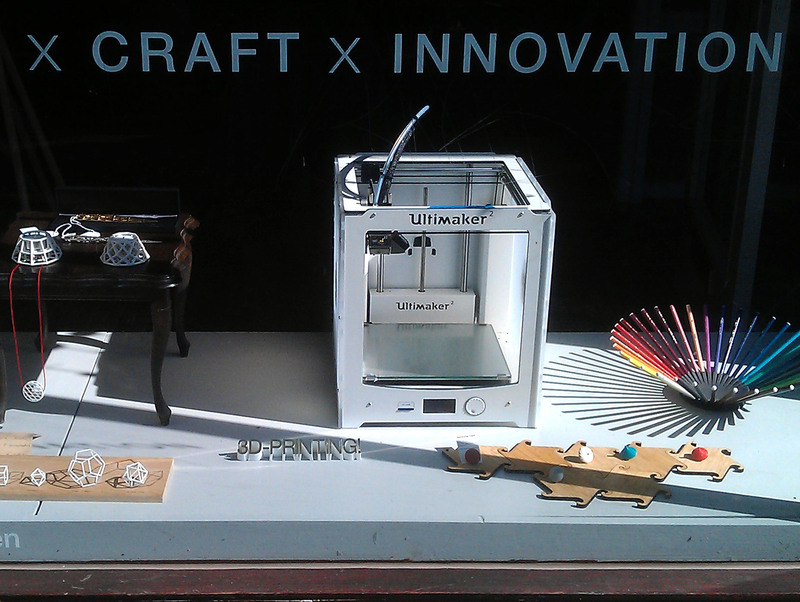 This store immediately caught my eye, not just because of the Ultimaker sitting in the window, but because they also had some of Michiel Cornelissen’s jewellery pieces as part of the window display. Overall, I was really impressed with the store and I felt it displayed a great balance between unique designs, quirky gifts and CAD/CAM services. Another pleasant surprise during ‘Dutch design week’ was the Nano Supermarket; a vehicle that travels around a variety of design events, presenting speculative ‘nanotech’ products to the public. The concept behind the Nano supermarket is not to display products that are currently for sale, but to provide some potential examples of what technological products could be in our shops in 10 years time! 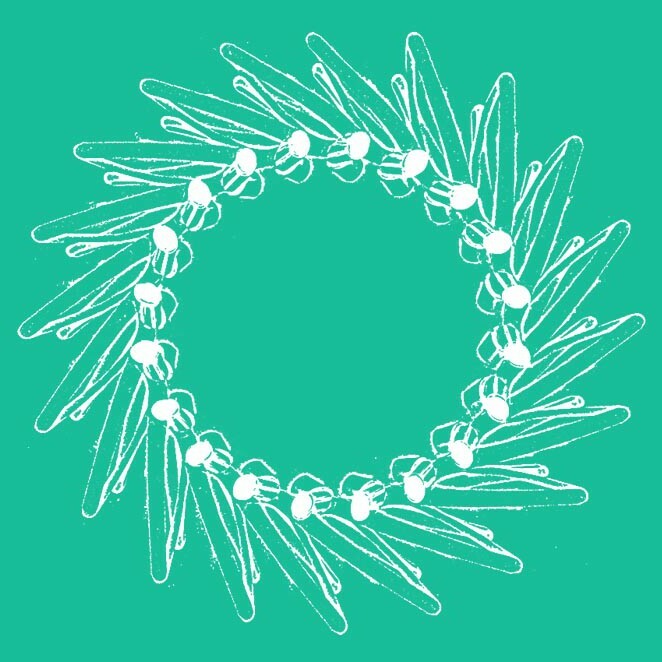 I must admit, a few of the ideas were quite far fetched, including the ‘Menoé uterus pearl’ a contraceptive pill that, over time, would mature into a pearl. However, a lot of other ideas had plausability such as: The Nano ‘Wallsmart’ paint; an interior paint that is supplied with its own phone app, making redecorating a thing of the past and allowing you to change your walls at the touch of a button. We already have lighting that can change via smartphone apps, why not a wall? 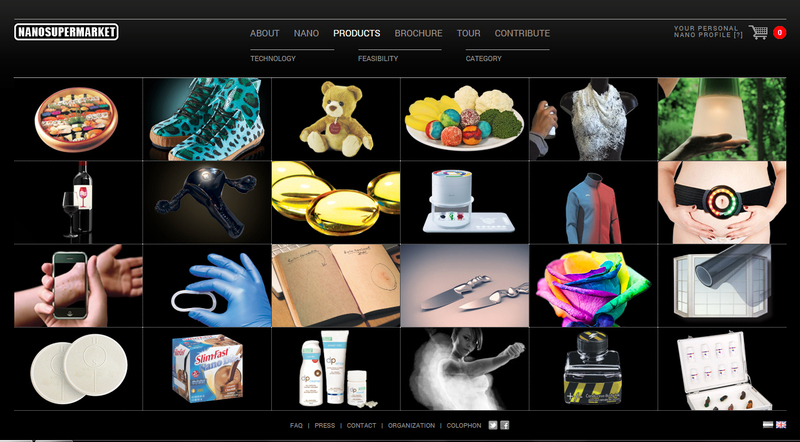 To me, Nano supermarket has allowed designers and individuals to think freely about the future of technology and design. Without any of the current constraints of certain processes and materials, this way of thinking really broadens one’s imagination about future products and breaks away from our own mental boundaries when formulating ideas. 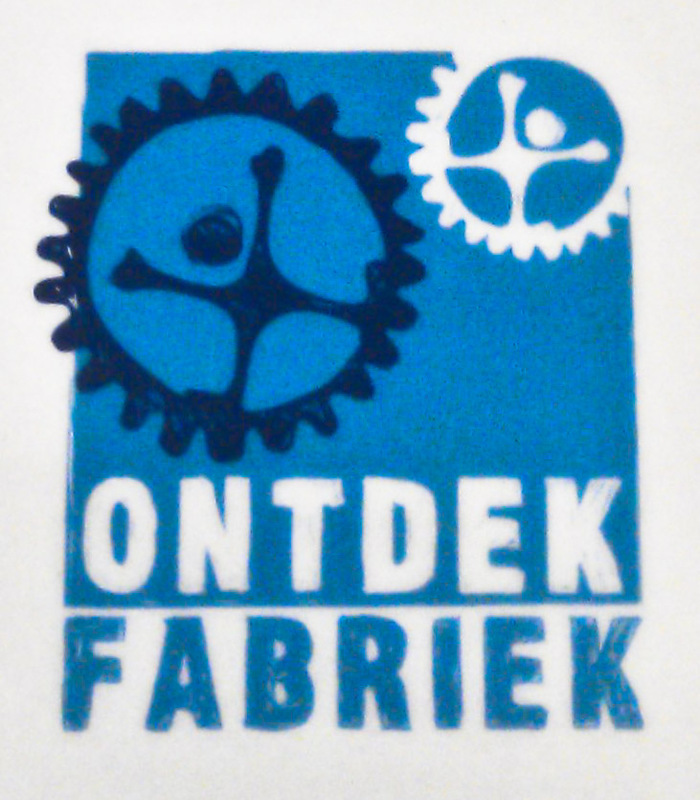 Our next stop was ‘Ontdek Fabriek’, an old factory that had been turned into a facility specialising in educating and inspiring students, children and even groups of business men / women to think creatively and explore a hands-on approach to design and craftsmanship. The factory itself was decked out with a small cafe, green screen, workshop tables and many unique constructions dotted about, such as swings and tricycles. Although this facility was mainly aimed at children and families, it also offered team building courses for companies and schools and the atmosphere was brilliant to experience. I also visited one of the larger DDW venues ‘Klokgebouw 2014’ which consisted of 4 different themed zones, all demonstrating the future of contemporary design through special projects. These projects ranged from interiors, to industrial design, platforms in the creative industry and new materials / experimental applications. One of the main projects featured three completely solar-powered racing cars and I was also very interested in the projects that specialised in using new technologies and 3D design to aid medical care for children. One in particular ‘Designed to fit’ used 3D images of children’s faces, compiling data to produce a more ergonomic, mechanical ventilation mask. In addition to that, I also got to view some of the top 3D printed jewellery companies, including : Olajewelry, dyvsign and oform. These were very exciting for me, as I got to compare the variations in 3dprinted jewellery styles and inform myself more about the direction of CAD/CAM in jewellery. Unfortunately, I was not able to attend every stall or venue, but from what I did see, I was amazed by the diversity of the projects presented and it has definitely broadened my perspective of contemporary design, as well as highlighting to me that 3D technologies can provide so much more than just an accurate and precise print. To top off the day, I also got to pay a visit to Eindhovens largest skate park, Area 51! 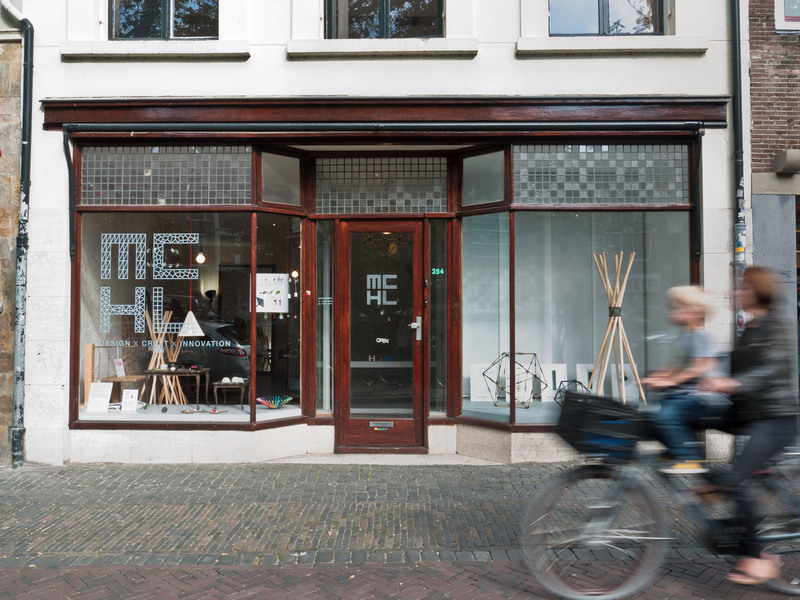 Recently, Michiel Cornelissen Ontwerp was approached by Poush.nl and Zook.nl ( initiated by La Senzo ), two companies that specialise in online shopping and temporary pop-up shops, to contribute to a pop-up shop in the Hoog Cathrijne in Utrecht. 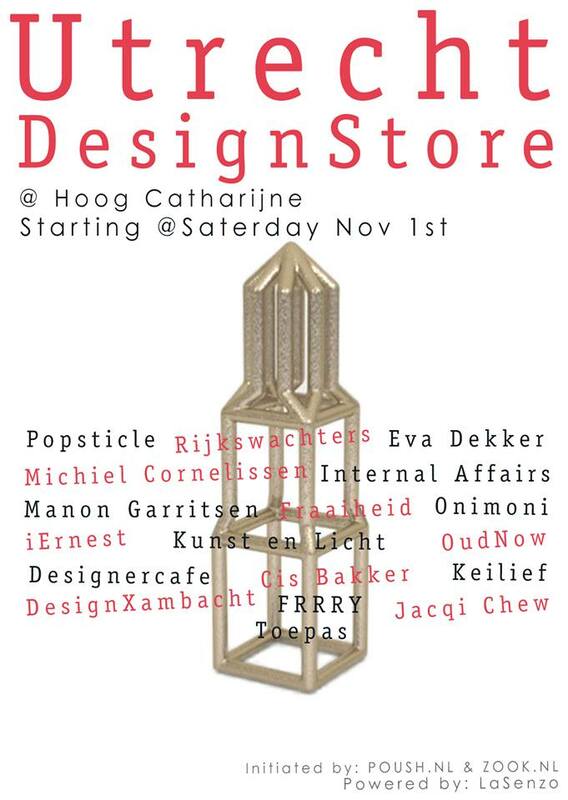 Called the ‘Utrecht Design Store’ this shop opened on the 1st of November and will run until the 1st of December, featuring 18 different designer’s products from jewellery, to fashion, art and home-wares. 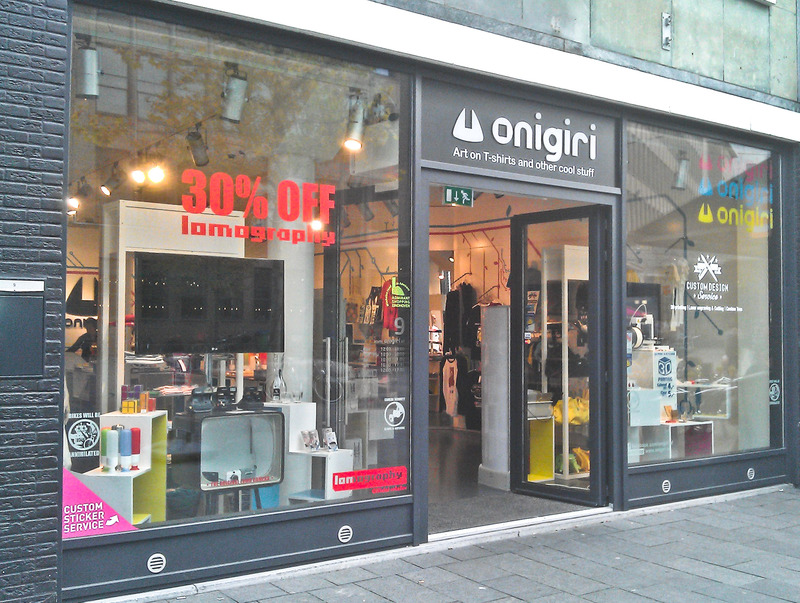 The concept behind the shop is the exhibit local designers and their work to the public, whilst also providing the necessary information (Via QR code) for potential customers to read more about the products and order them online. 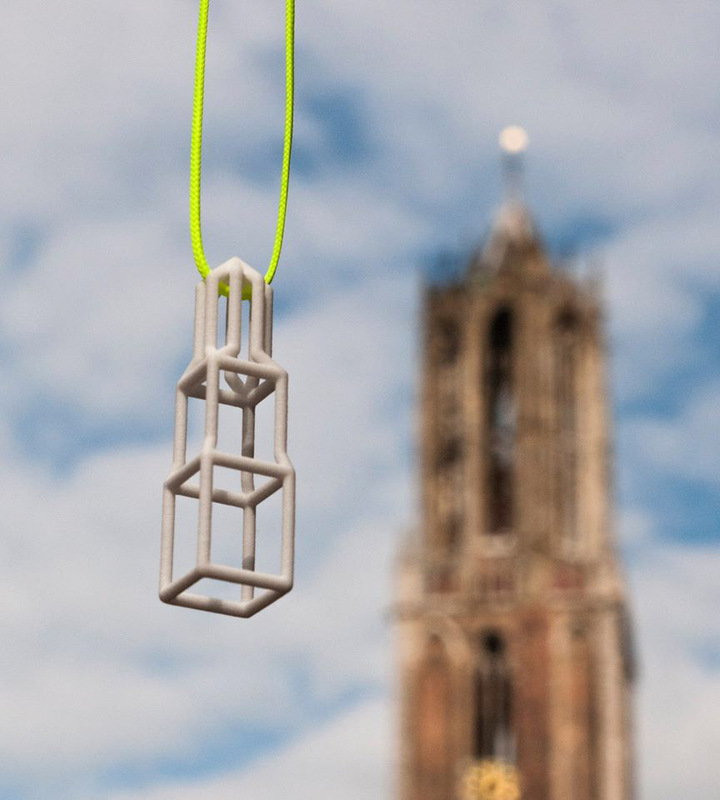 After seeing one of our most recent products online, the ‘Dom Toren’ pendant, Zook&Poush enquired if they could add it to the stores collection. In addition to that, they also asked if one of the publicity photos that I took could be used as part of this display, which is not only great exposure for the MCHL design store, but also a personal achievement for myself. For more information on the store and the featured designers, click here. Ghost 3d-printed spinning top release! “Ghost is a lightweight, 3d-printed stainless steel spinning top unlike any you’re likely to have seen. Ghost already looks pretty good when it’s resting; but take it for a spin and it creates a fascinating, semi-transparent outline of a top. This spinning top is one of many products I have been working on, preparing information and producing high quality photos for its release online. I am particularly proud of my work here as I was able to try out some new software (Adobe Premiere pro) and have a go at shooting and editing my own video! Although the video is relatively simple, this was a great experience for me and I found I was able to pick up the basics quickly and really enjoyed exploring a different form of digital software. Needless to say, this Ghost video will be the first of many! For about 4 weeks now, I have been involved in a wide array of tasks related to my internship. It has been a very fulfilling and interesting time for me, as I have been completing projects that initially, I did not anticipate to be doing. However, this experience has not only increased my awareness of what tasks may be required in creative businesses such as this, but I have also developed skills and interests in other creative mediums which, I may not have discovered in other contexts. Hence the title! A quote from the brilliant comedian Minchin, who recently said this when addressing the 2013 graduates from the University of Western Australia. This part of Tim’s speech really highlighted what I had already begun to acknowledge within my work and reaffirmed my intentions of continuing to take on new challenges with the same commitment and enthusiasm as I have had for more familiar projects. Below are a selection of my own photographs, which portray some of the highlights from the previous weeks. To begin with, we now have new additions to the MCHL shop: including 3D printed Dom Tower Pendants, laser cut MCHL Clocks and 3D printed ceramic tableware. Alongside these new products, I have been producing product photos and videos which we are using in a variety of formats including the Michiel Cornelissen Shapeways shop, blog and press releases. In addition to all that. I just recently completed a window display for the MCHL shop, featuring some of Michiel’s work and the new clocks! Looking good. On top of the daily tasks of preparing material to market and publicise new products, I have continued to develop my technical skills, learning how to operate a Trotec laser cutter/engraver for the MCHL clocks and working on a new design for the MCHL store which, will be in the shop before Christmas! On the weekend of the 20th of September, I went to Brussels to visit two old friends and explore the capital and largest city of Belgium. I was very lucky, as the date of my trip coincided with Brussels’ ‘Car free Sunday’, a day when the 19 municipalities of the region close their territory for car traffic, as part of the European Week of Mobility(15 to 22 September). Not only did this mean that I could walk freely down the streets but it also allowed me to see Brussels in a new light and appreciate the sights. One particular aspect that I really enjoyed about Brussels was its architecture: offering a wide variety of historical buildings and the occasional, modern yet sympathetic construction. Personally for me, it was these modern buildings that really caught my eye, especially one on Rue de la Loi or Wetstraat, a road which is known for featuring several governmental buildings. The ‘Residence Palace’ or ‘Europa building‘, consists of two buildings side by side, one, a more traditional construction and the other, replicating the pattern of historical windows in a patchwork fashion, into the framework of glass front. By creating a repeat pattern out of the original window frame, the newer addition highlights certain qualities of its older counterpart, whilst giving it a modern twist. Two weeks have past since I started my internship for Michiel Cornelissen and I am amazed at how fast it has gone by. As part of the internship, I have had the privilege of being involved in all aspects of the business: from working in the shop, arranging displays and stock to producing signage and most recently, I was responsible for taking and editing press photos of the shop and a few designs which, are being used to publicise the shop’s official opening in the next few months! These photos can be found on the MCHL flickr page. And with the impending official opening of the MCHL, the press are already beginning to take notice and promote the event. Aside from the commercial business side of the internship, I also have been set several 3D printing projects which I am currently working on. 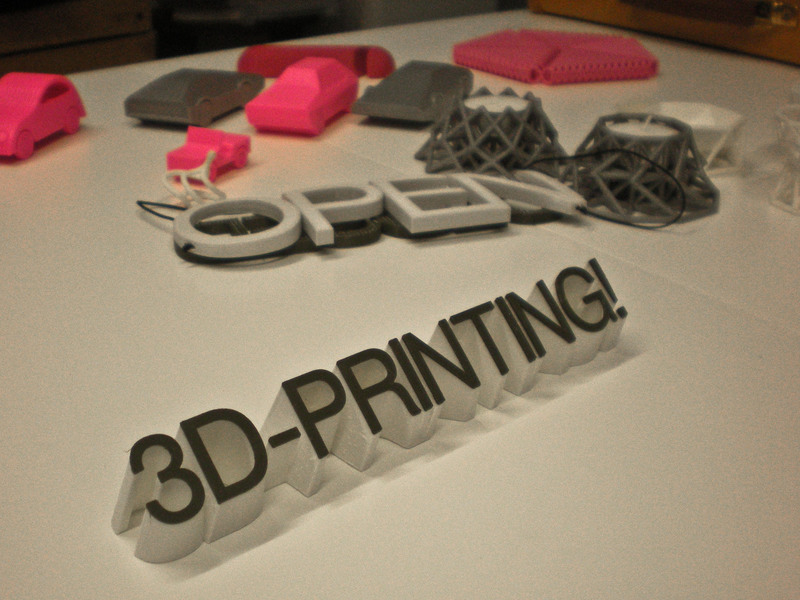 The first was to produce a ‘3DPRINTING!’ sign for the shop window, to not only demonstrate the capabilities of 3D printing, but also to inform ‘window shoppers’ of the shop’s content and allow me to familiarise myself with using the studio’s 3D printers and CAD software. Needless to say, learning new software and operating a Makerbot/Ultimaker 3D printer were relatively new projects for me, and I anticipated that it would be a big learning curve for me. In retrospect, it was, but I revelled in the opportunity to roll up my sleeves and use the printers independently, learning from my mistakes and working as part of a team on new design ideas.Towards the end of my second week, I had successfully designed and printed the ‘3DPRINTING!’ sign and my first FDM print is now in the shop window! To review the internship so far, (as I sit in the shop watching customers watch the Ultimaker printing from outside), I can see how much I have developed in a short space of time, but also how much more I have to learn. This is not a daunting prospect for me, as these are exciting times for the business and I look forward to becoming an integral part of the MCHL brand and assisting in its development.